Does anyone recall Lady Gaga's Superbowl 50 Performance? We do! And we think this look would be perfect for your holiday plans this weekend. Let's start with the eyes!! Using a palette, or other flat surface, sparingly drop a small amount of INGLOT's Duraline. Add some pigment to the palette, and then, with a small brush, combine the two to create a waterproof eye product (liner, shadow). With a synthetic brush, carefully add the product on to your lids as desired. The colors, together wit the mixing medium, will quickly dry. Or Try or our "First" by Make Up First (Maq Pro) Eyeshadow Set available in our very own Make Up First Z Palette! Buy it on SALE, here! This shadow can also be made into a er proof, heavily pigmented liner, using INGLOT Duraline. For a more natural, yet still festive look....try a blue liner! Our favorite is the Kevyn Aucoin - Eye Pencil Prematif. Pencil on one end and a smudger on the other-Perfect for creating a dramatic cat eye, or a sultry look. How about those patriotic lips?! Try "MAJOR BETSY" Liquid Lipstick from MODELROCK, available here. We all know...STROBBING is in! As a refresher, strobbing is adding highlights to the high points of the face (think where the sun hits). For a natural illuminizer, try BECCA Shimmering Skin Perfector. This product works wonders, and can be applied under your foundation, over your foundation, or even mixed in for a fresh dewy look. 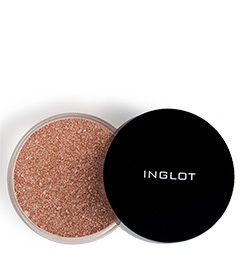 For a more intense highlight, try INGLOT's Sparkling Dust. 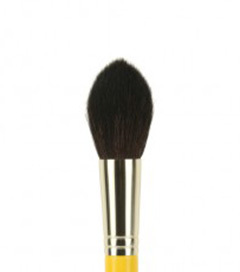 This product is a loose powder and works best with a natural brush like Bdellium's Studio 974. For more informations on products or classes at Make Up First ® School of Makeup Artistry please contact us at 312. 621.0801 or info@makeupfirst.com. Make Up First ® Pro Shop is located 100 N. LaSalle Suite 1010, Chicago, IL 60654 or try our website (FREE SHIPPING) www.makeupfirst.com .